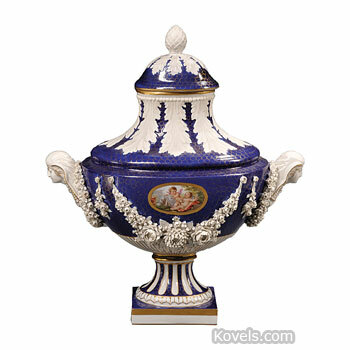 Sevres porcelain has been made in Sevres, France, since 1769. 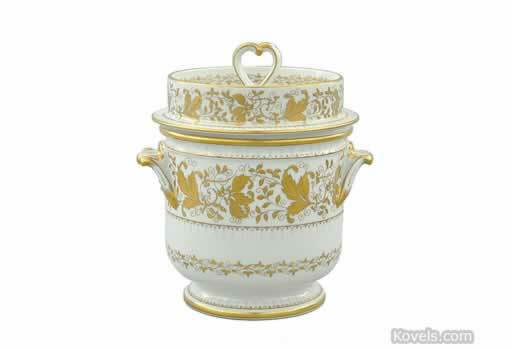 Many copies of the famous ware have been made. 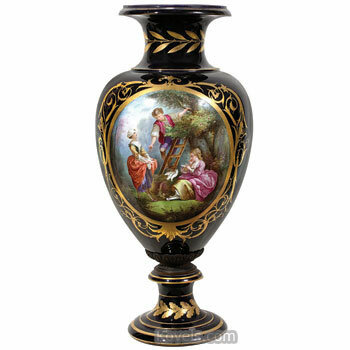 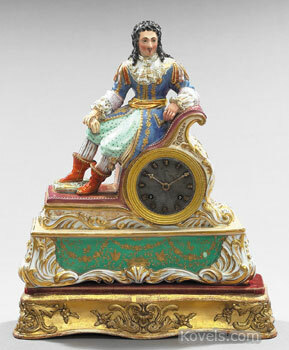 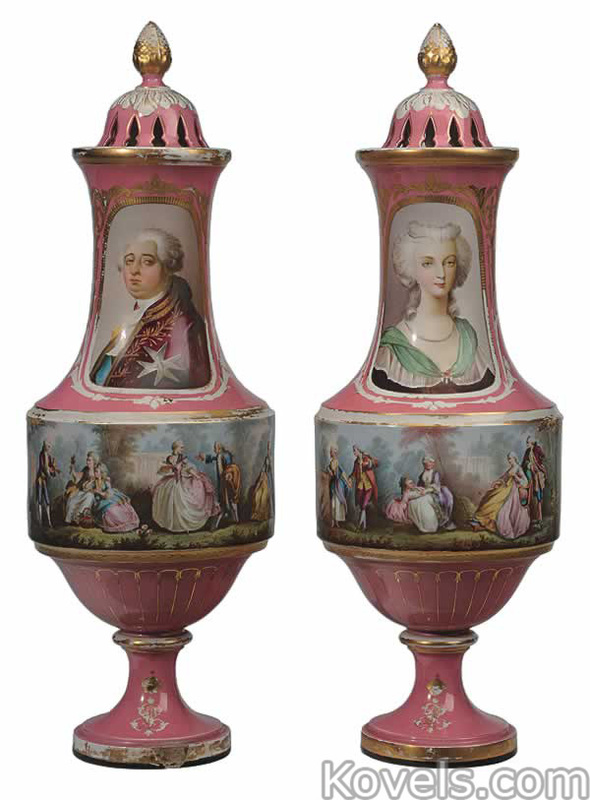 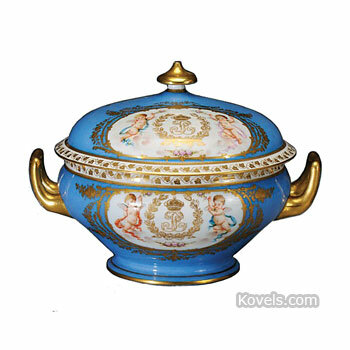 The name originally referred to the works of the Royal Porcelain factory. 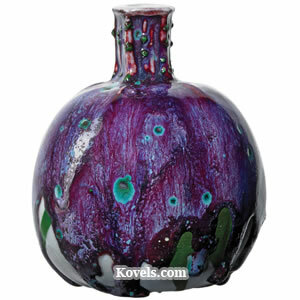 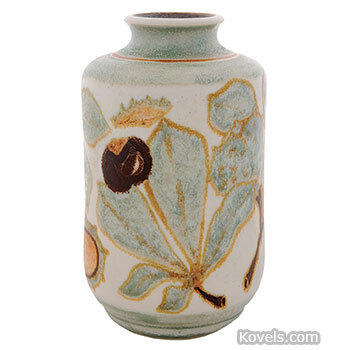 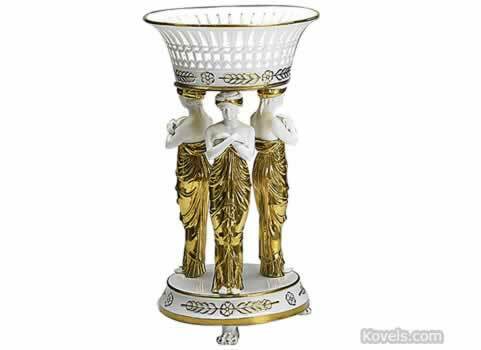 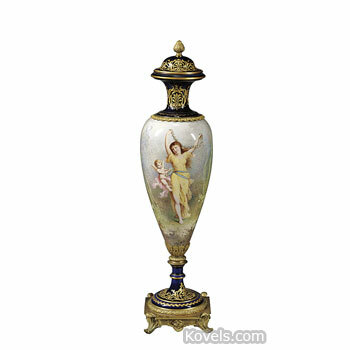 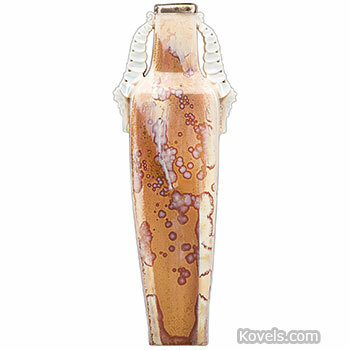 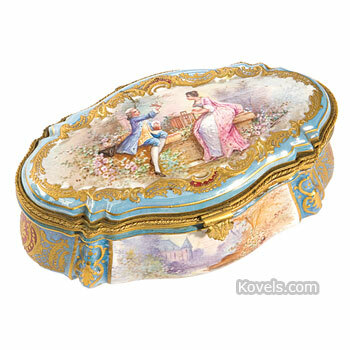 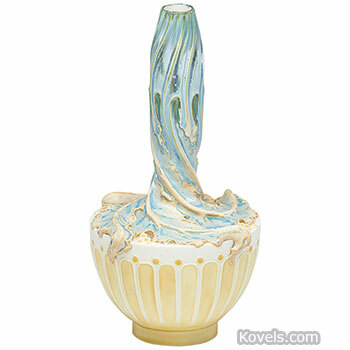 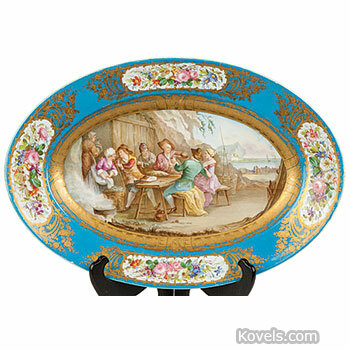 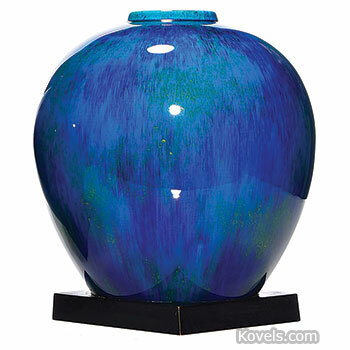 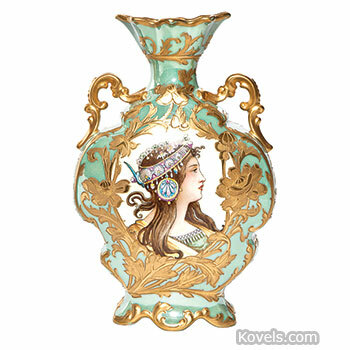 The name now includes any of the wares made in the town of Sevres, France. 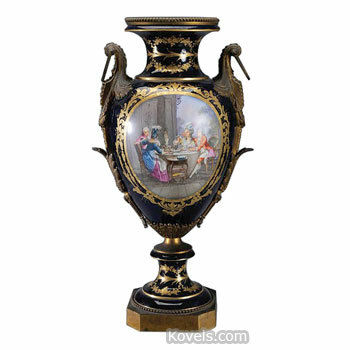 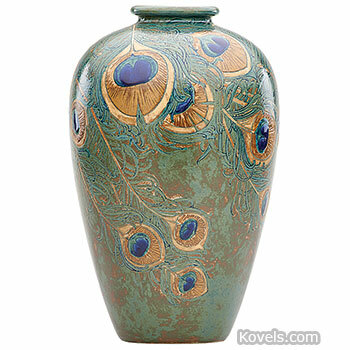 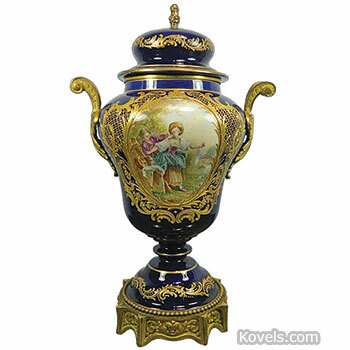 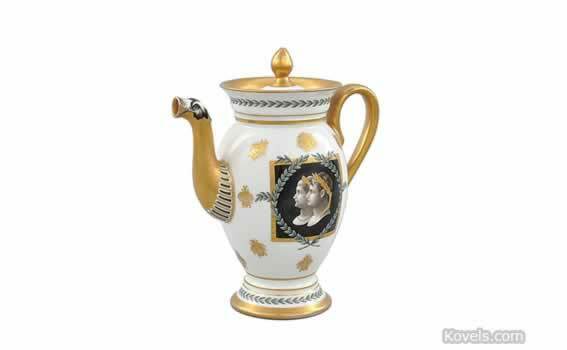 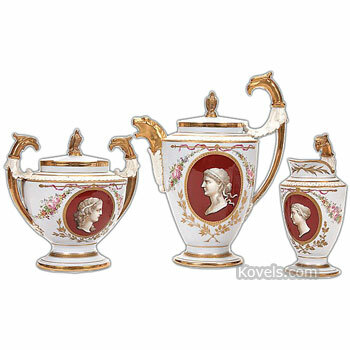 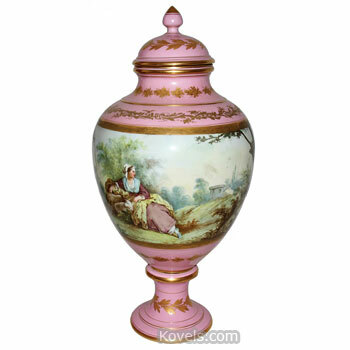 Sevres porcelains made in the eighteenth and early nineteenth centuries are known for their quality, design, and enamel decorations in colors like royal blue, turquoise, rose, and gold. 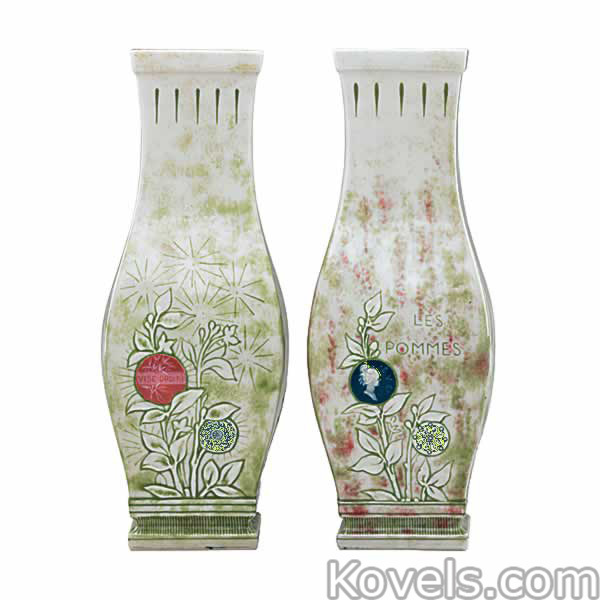 The entwined lines with a center letter used as the mark is one of the most forged marks in antiques. 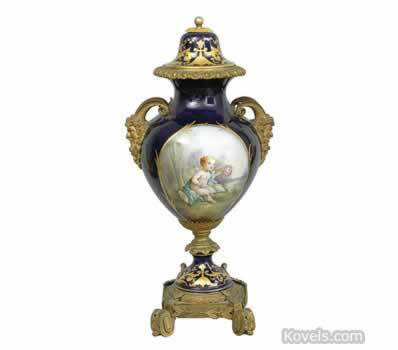 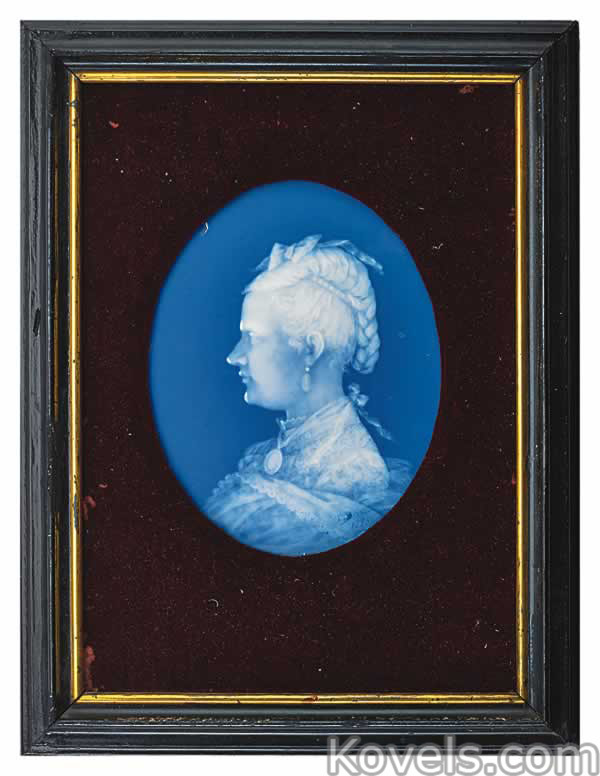 Be very careful to identify Sevres by quality, not just by mark.